Perhon Eräelämykset: Feel the spirit of wilderness. Do you fancy peace­ful natu­re away from tra­di­tio­nal tou­rist rou­tes? Would you rat­her choo­se silence and tranqui­li­ty than flocks of tou­rists bloc­king your way on the hiking path? If your answer is ’yes’, then Per­hon Eräe­lä­myk­set may be the thing for you. We offer a wide array of expe­riences in natu­re toget­her with small-sca­le lod­ging for people who apprecia­te natu­re and moving about it. We pro­vi­de you or your group with an indi­vi­dual expe­rience pro­duct. Perho’s wil­der­ness and body of water com­bi­ne into a unique expe­rience – e.g. for com­pa­nies’ away days — both sum­mer and win­ter. The sur­roun­ding natu­re offers a varie­ty of oppor­tu­ni­ties for the forest’s mul­ti-pur­po­se use. The cabin is sur­roun­ded by sta­te-owned wide forest and water areas, and the state’s licenced hun­ting grounds and fis­hing areas start at wal­king dis­tance. The Fin­nish everyman’s right entit­les you to pick all the mush­rooms and ber­ries in the forest you want. Come alo­ne, with a friend or with a group – we have accom­mon­da­tion for you and your fami­ly, even groups. 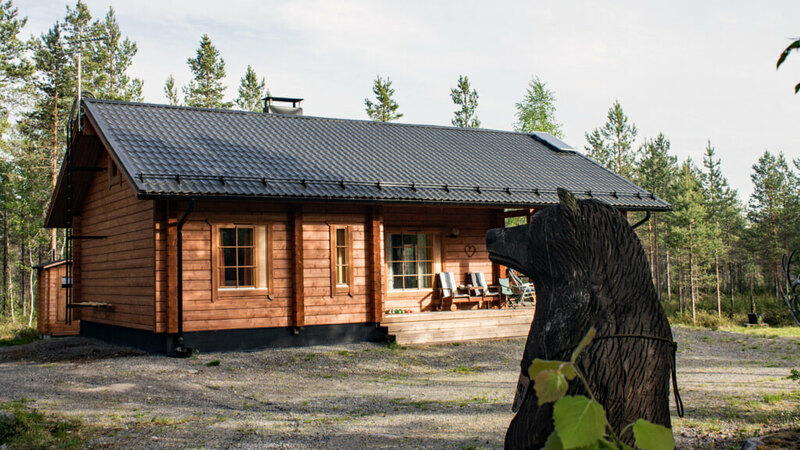 The Finn­la­mel log cabin, built in 2011, is warm in win­ter as well. The heat sto­ring fireplace radia­tes warmth in a cosy way throug­hout the night. Also, there’s an air-to-air heat pump, run by an inter­nal com­bus­tion engi­ne gene­ra­tor.